What’s your definition of adventure? A romantic liaison? Close encounter of the ferocious kind? Perhaps cave exploration defines the limits to which you will go to get your heart rate up! Because there are so many adventures to be had in and around Placencia Belize, we’ve made a list, each of which can be booked through Laru Beya Beach Resort. Staffers happen to be the best adventure planners in Belize, so if these suggestions aren’t enough, ask for more, remembering what your Mum warned: Be careful what you ask for! 1. Kayak the Placencia Lagoon. Sound tranquil? Not if you try to reach out and touch marine sea life inhabiting the waters around this protected sanctuary. This naturalist form of kayaking takes you into mangrove swamps, so circumnavigating can be tricky. The payoff, however, is spectacular: Rays, Manatees, Dolphin, fish and birds. Keep your hands on your paddles and you’ll be fine. 2. Kayak the Caribbean instead. The differences are evident as you weigh a sea vs. lagoon kayaking. Sure, the surf’s gentle, but in Belize, dial up the action by island hopping among diverse cayes where adventurers are always welcome to spend a night and explore. Need a guide or equipment? Laru Beya staff can fix you up fast. 3. Silk Caye snorkeling. A vivid world of splendor fans out before your eyes as you peer into Caribbean waters just beneath the surface! Travel 20 minutes to reach this idyllic spot, but rewards come at you like waves once your snorkel gear is on. Be on the lookout for rays, sharks, sea turtles, Barracuda, Angelfish, Trumpetfish and more surprises. 4. The Hole Truth. If snorkeling and kayaking are too placid for your taste, how about scuba diving underwater canyons, caves, nooks and crannies that resemble moonscapes? 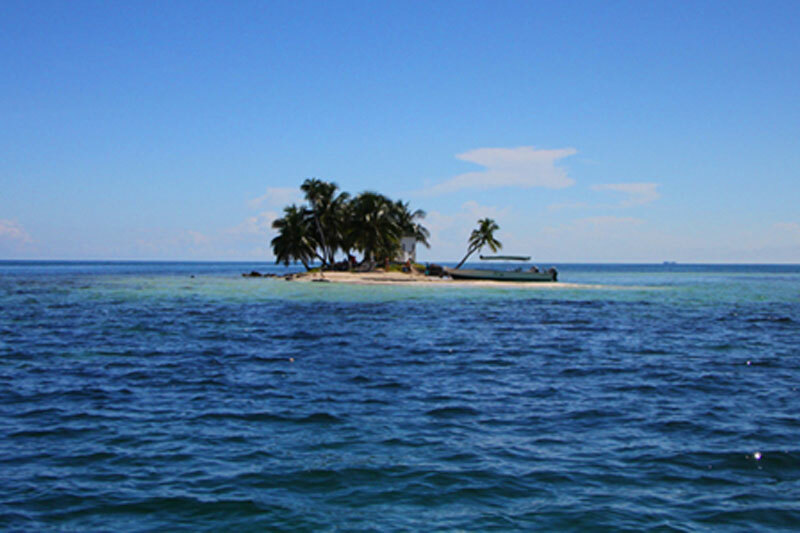 The area linking the Placencia Peninsula and Belize’s Barrier Reef is spectacular. Specify the popular White Hole dive, but if nothing but the most challenging, world-famous Blue Hole will do, we’ll get you there. 5. A sail a day keeps the doctor away. Pace yourself as you and your Laru Beya-booked boat skipper plot a route that skims cayes with exotic names like Long Coco, Laughing Bird or Silk Caye. Make it a day trip or plan on camping at a guest house. Like your outdoor overnight a bit more rugged? We’ll arrange a tent for you. 6. Fish like you mean it. Savvy anglers count on sharp guides who know the waters off Belize to point out favourite spots, so depending upon the time of year you visit, you could bag Bonefish, Snook and Tarpon. Laru Beya staff will do everything but bait your hook–and that includes preparing your catch for dinner. 7. A tube runs through it. River tubing is hot in Belize. Add a hike into Cockscomb Basin Jaguar Reserve and you’ll return home with colorful tales about what you saw and experienced. Currents in the South Stann Creek depend upon rain fall, so you might want to ask Laru Beya staff to book during the dry season to maximize your excitement. 8. It’s a jungle out there—and we’re not referring to your office! Hike Cockscomb Basin Wildlife Sanctuary trails, home to the world’s first Jaguar reserve. Your tour guide will point out iguana, Boa Constrictors, deer or big cats prowling this jungle. A multi-day hike allows you to see Victoria Peak, Belize’s second highest elevation. 9. Monkey business. The Monkey River, home to outrageously loud Howler Monkeys, shares an Eden-like environment with abundant varieties of birds nesting along this mangrove river and the occasional crocodile. Hire a boat, travel 30 minutes from Placencia and bathe your senses in this verdant paradise. 10. Celebrate Garifuna Culture. When you need a break from all things swimming, crawling and flying, indulge your inner gourmet and sensibilities in Garifuna and Creole culture to learn more about indigenous peoples who settled Placencia centuries ago. If you miss seeing historic Seine Bight village, your trip won’t be complete. Don’t miss dining at Creole family-style restaurants. Your taste buds will thank you for their eating adventure.